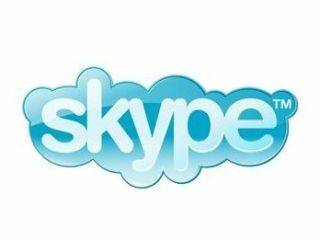 Skype heading to Nintendo DSi? Rep confirms DSi VoIP software "technically possible"
It looks highly likely that leading VoIP software Skype will be heading to the Nintendo DSi at some point in the near future, with the company exclusively confirming with TechRadar that it would be technically possible to develop a version for Nintendo's new handheld. The news follows a slew of speculative "Nintendo to develop mobile phone capabilities" stories earlier this month, spinned out from quotes made by the company's feted Creative Director, Shigeru Miyamoto. Miyamoto dropped a hint about the future DSi strategy at GDC, telling journalists he was "interested in [a system with which] when you're walking in town with your DS, you can use various services." Which, of course, is vague enough to mean everything and almost nothing at the same time, in typical Nintendo fashion! However, Nintendo President Satoru Iwata has said in the past that the company would not want to develop a mobile phone type device which required a costly monthly contract. Which is exactly where leading VoIP service Skype comes into the equation. "Skype's growth strategy is focused on product enhancements that will increase user delight, engagement, and adoption of paid services," a Skype rep told TechRadar when we asked them if a DSi version of the software was imminent. "This includes extending the Skype infrastructure and platform to bring Skype functionality wherever, whenever, and on whatever device or site people choose to use it." Okay. So that's the general strategy. But what about Skype on DS? There's already a PSP version available, so surely it makes sense to develop for Nintendo's world-beating handheld. "Skype is extending its lead with a focus on rapid innovation, which delivers the new features and products people want, and by integrating Skype software and services into other open platforms with recent examples including the Skype application for the iPhone and iPod Touch, Intel-based MIDs, Nokia N97, and a Lite version of Skype for Java-enabled mobile phones." Most interestingly (and pertinently) the Skype rep added: "Whilst we can't comment on any future plans to bring Skype to Nintendo's DSi, it would technically be possible." Which, in a very roundabout way, sounds very much like a 'yes' to us. TechRadar will bring you more info on Skype for Nintendo DSi as and when we get it.